(Lembrando tambem que nesse dia, em 1994, morria Tom Jobim). 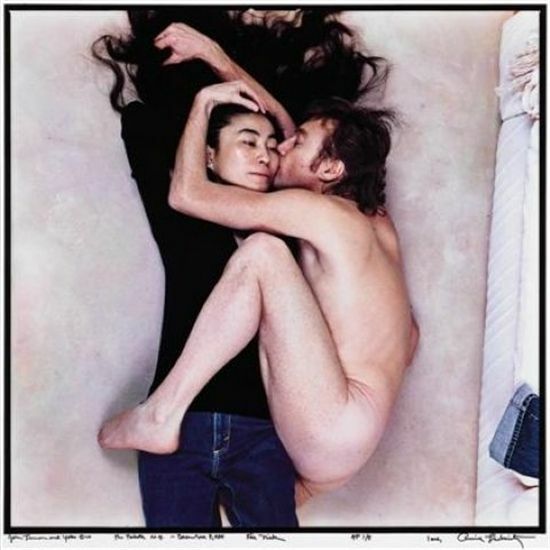 Talvez todo mundo já saiba, mas foi algo interessante pra mim descobrir que essa emblemática foto do John e Yoko tirada pela Annie Liebowitz foi feita algumas horas antes do John ser assassinado. Se a foto, famosa na capa da revista Rolling Stone, já possui uma força extraordinária pela situação retratada (a entrega, a posição e seus simbolismos), saber desse fato só aumenta seu potencial emblemático. Falei difícil. A situação merece. ...on January 22, 1981, Rolling Stone magazine's John Lennon tribute issue hit newsstands, featuring a cover photograph of a naked John Lennon curled up in a fetal embrace of a fully clothed Yoko Ono. The iconic Annie Liebowitz portrait would become the definitive image of perhaps the most photographed married couple in music history. The now-famous photograph of John and Yoko is all the more poignant for having been taken on the morning of December 8, 1980, just twelve hours before Lennon's death. Sent by Rolling Stone to capture an image of Lennon alone for a planned upcoming cover, Liebowitz had to negotiate the issue with John. Liebowitz recalled years later that Rolling Stone editor Jann Wenner "never told me what to do, but this time he did. He told me, 'Please get me some pictures without [Yoko].' Then I walk in, and the first thing [Lennon] says to me is 'I want to be with her.'" An angry Liebowitz reluctantly agreed to John's request, and the image she captured proved to be one of her most famous—one that Lennon told her on the spot had "captured [his] relationship with Yoko perfectly." While the famous Rolling Stone image is sometimes called the final photograph of Lennon, it is in fact only the final portrait of him and Yoko together. The final photo of John was taken a few hours after Liebowitz's, by a fan waiting outside the Dakota. That photo captured John immediately after signing an autograph for Mark David Chapman, the man who would shoot him dead some six hour later.